These photos were furnished by Keith Baird. The 39th TCS area as seen from the highway. Note the new trees had just been planted. These trees and berm totally block the view today. Cars line up for time trials in this 1956 photo. 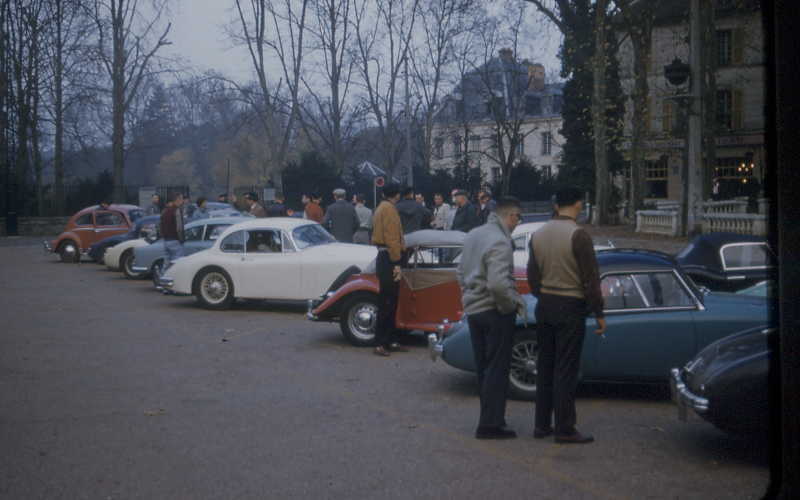 This event was organized before we had the Ecurie Normandy Sports Car Club where half the cars were Detroit irons as was Keith Baird's #6, the 55 Olds 98 Holiday Club Coupe. 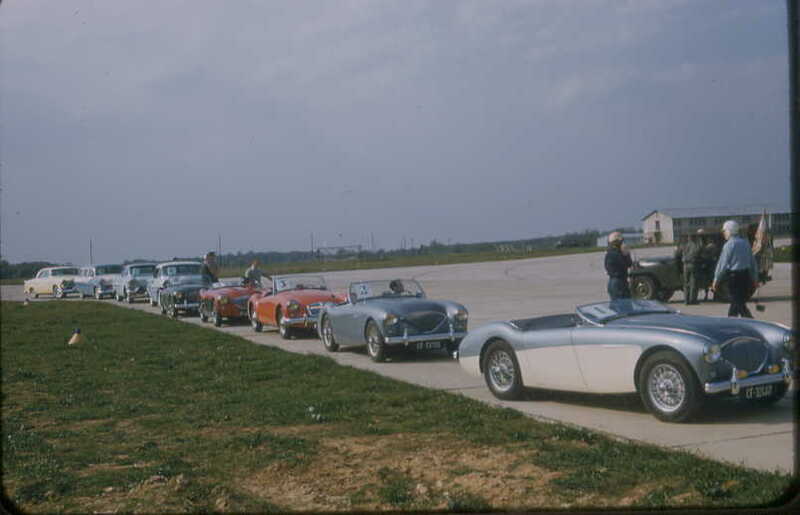 #1 here is Buck Buchanan in his Austin Healey and #4 is Chuck Howard in red and black Healey. 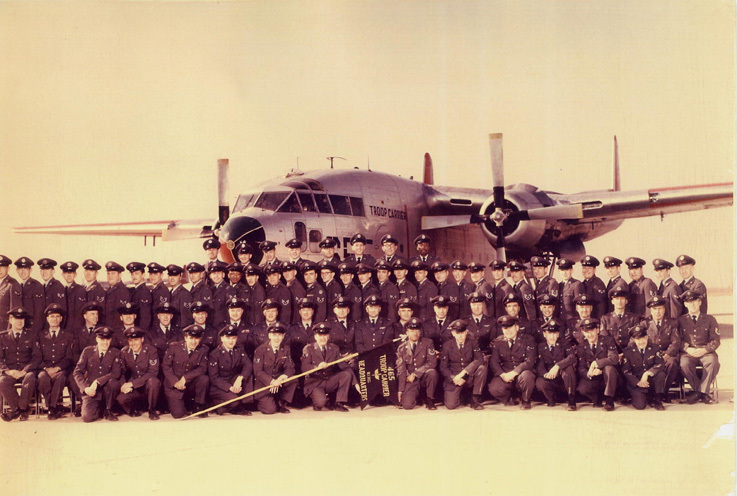 C-119s flew in formation wingtip to wingtip over the French and German countryside. 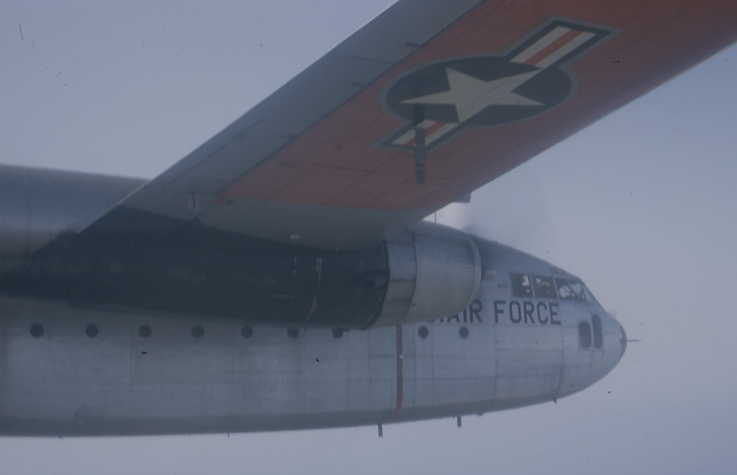 C-119s flying unauthorized formation over England got a little too close resulting a collision with this aircraft in the right aileron. Crew was alerted for bail out because the aileron was stuck in a steep left bank and they didn't think they could break it loose. They were able and ran it through a stall series and went on to land without further problem. 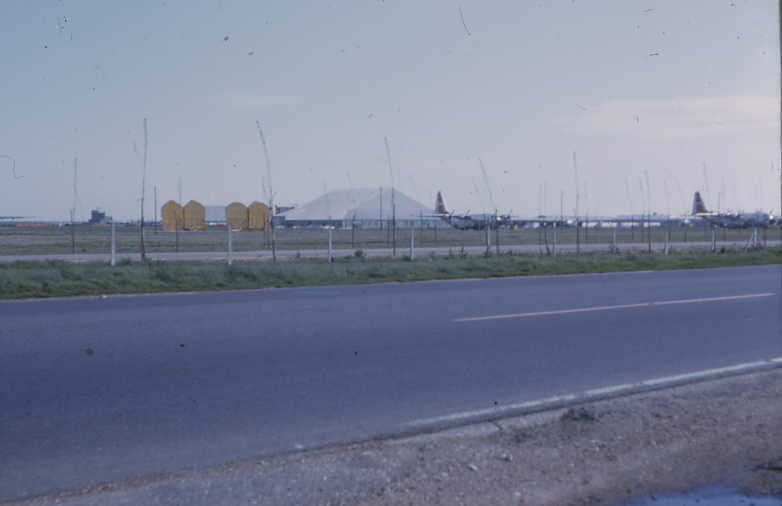 Stinky Briggs was pilot; Keith Baird was co-pilot. 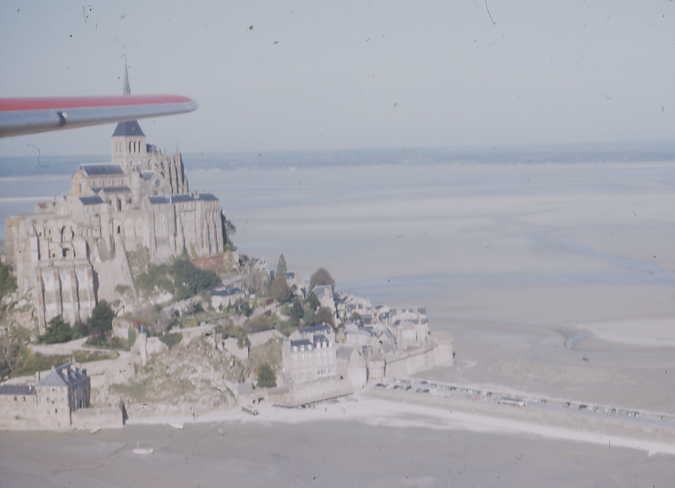 The island Abbey and community of Mont-St-Michel was in the local Evreux flying area on the West coast of France. 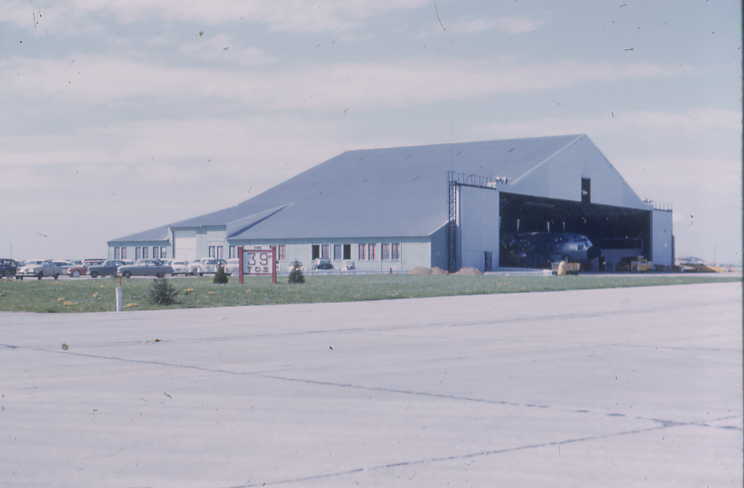 This hangar which housed the 39th Troop Carrier Squadron was the first area to the left as you came on base. 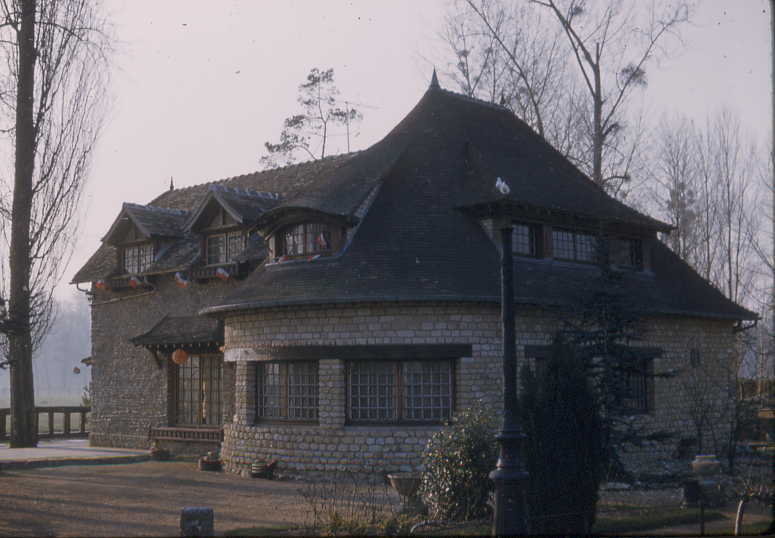 Le Clos Rustique, a popular spot for late night refreshments, was where many sports car rallies ended. 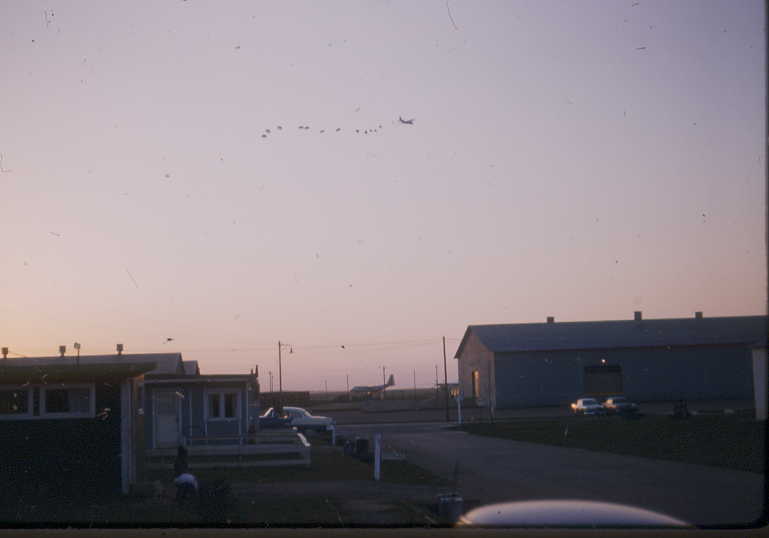 An evening parachute troop drop from a C-130 over Evreux viewed from the trailer park. The Ecurie Normandy Sports Car Club Fox Hunt sponsored by the Porsche Dealer in Paris from Rambouillet just outside of Paris. The fox "Porsche Dealer" left about 15 minutes before the "hunters" who departed in 15-sec intervals to hunt the fox. 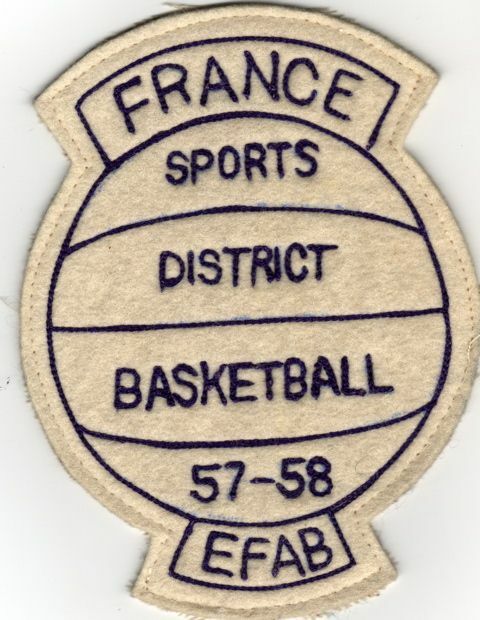 The fox would take any road at each intersection that was only verified a short distance up that road with a white paint strip along the side of the road. If you took the wrong road there was no strip and you had to pull a U-turn. This made for an interesting shift in who was in front as those that saw brake lights on those ahead knew that wasn't the right road and took another. This got to be very congested at the intersections, but was great fun. 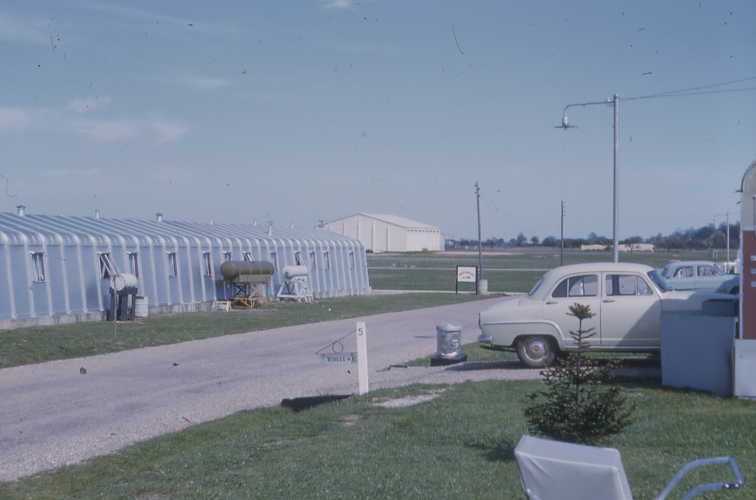 The base nursery and gym as seen from Keith and Ann Baird's private trailer on the first street before the commissary. Keith remembers that all he paid was $4/month for the pad, which included all utilities. Such a deal. 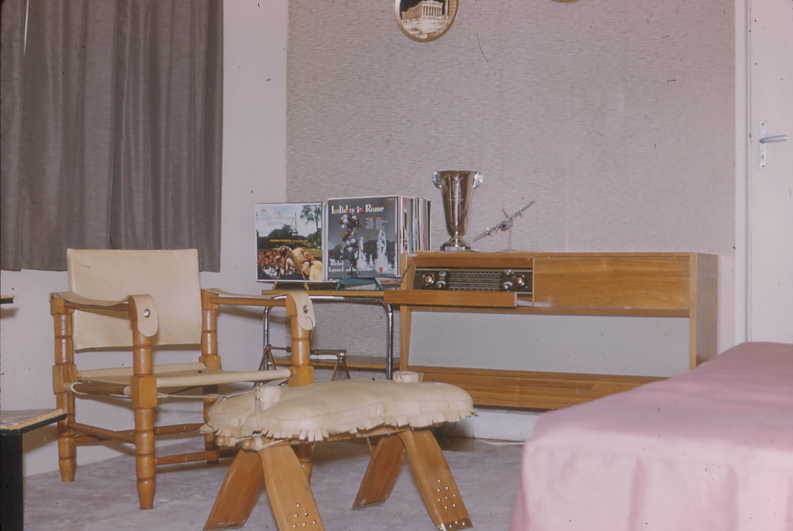 Inside the Baird's lean-to attached to the trailer showing the Grundig stereo and Beirut captains chair and camel saddle. 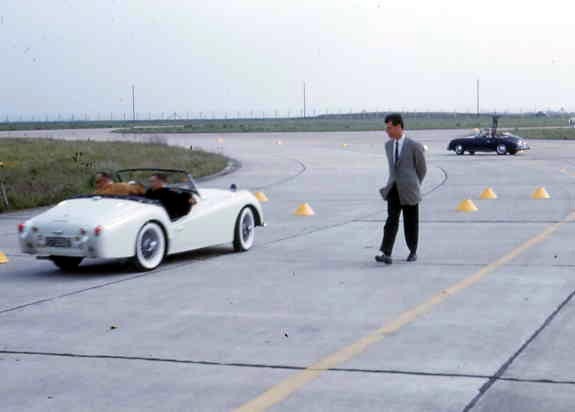 Sports Car Club Gymkana showing Bill Cramer in his TR with Jerry Smead watching for pylon hits that cost points. 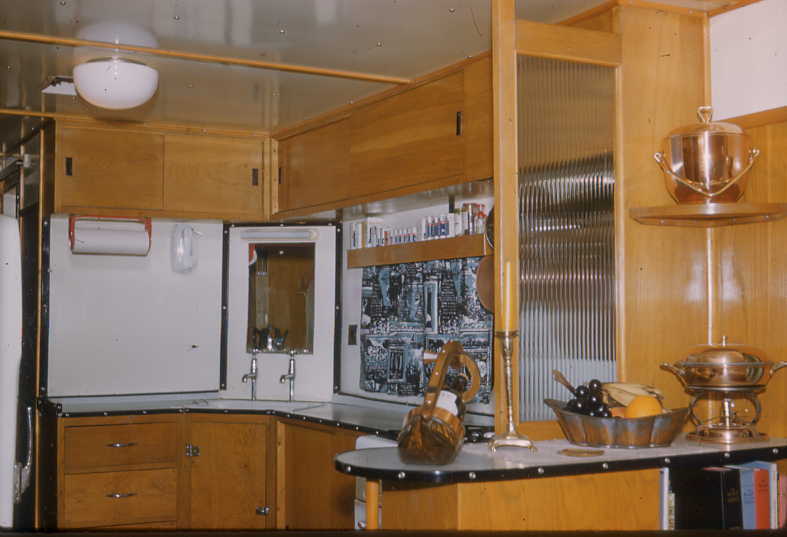 A view of the kitchen as viewed from the dining area in the trailer. 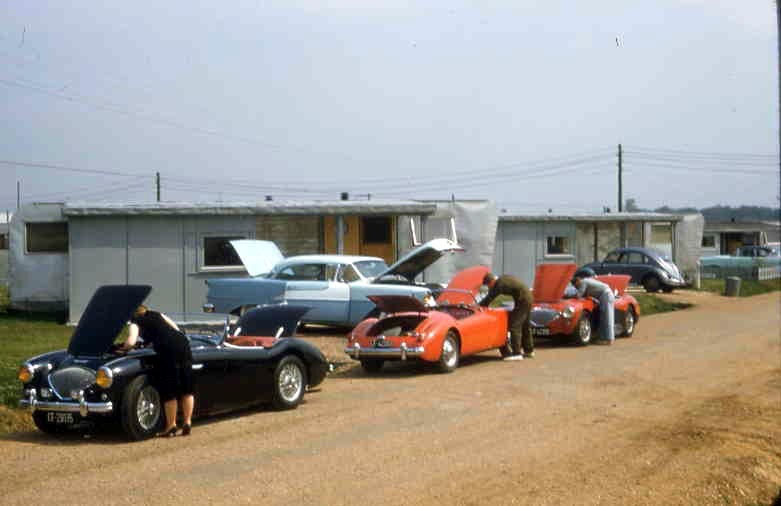 Tom and Ann Withers government trailer in 1956 with early sports car enthusiast Ann, Bo Creig and Chuck Howard doing minor maintenance. These photos were furnished by Boris S. Abramson. 465 TCW Headquarters. 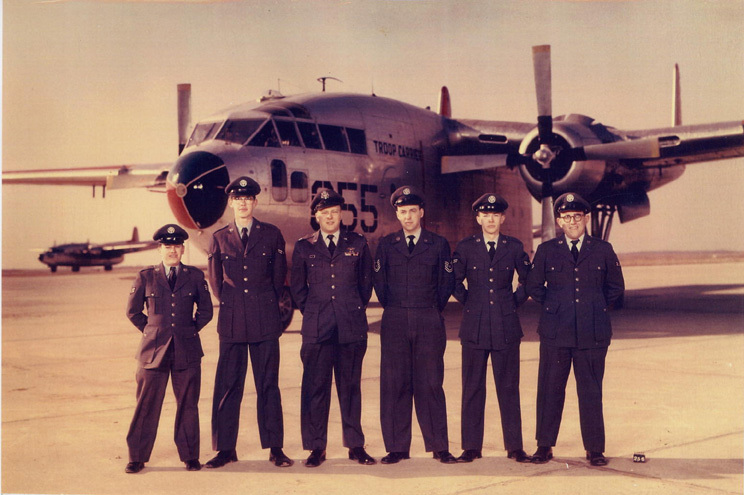 Abramson is 2d from right, top row. 465 TCW Statistical Service Office. Abramson is on right. 465 TCW, Statistical and Finance Offices. 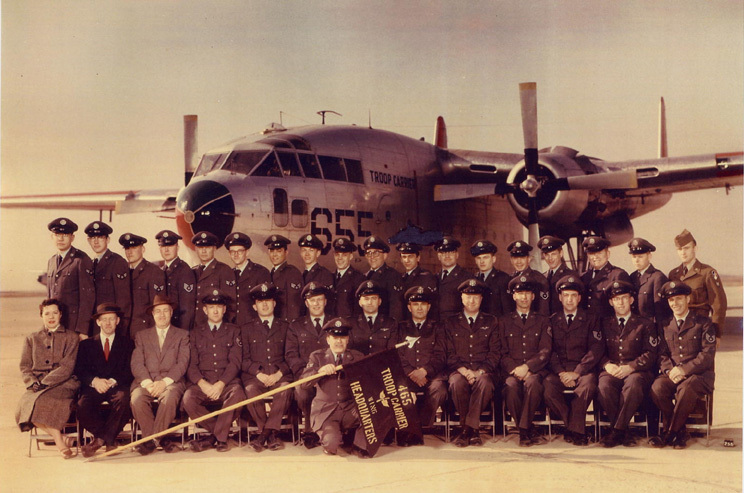 Abramson is 9th from right, 2d row. 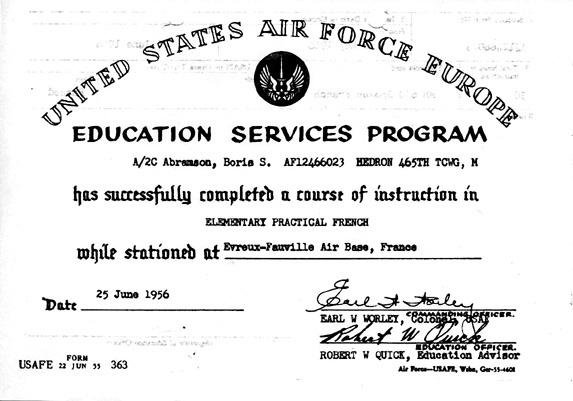 Completion of course in Elementary Practical French in 1956. 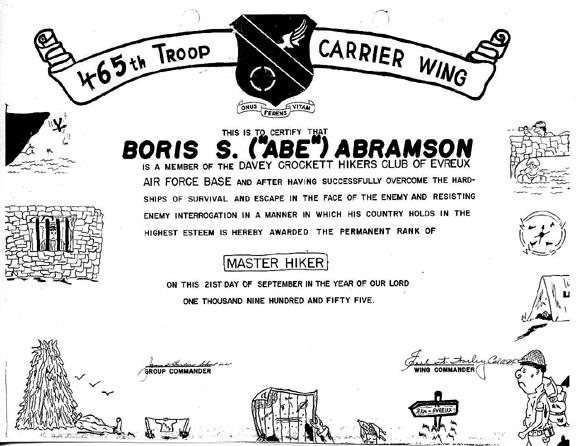 Award of permanent rank of Master Hiker in 1955.